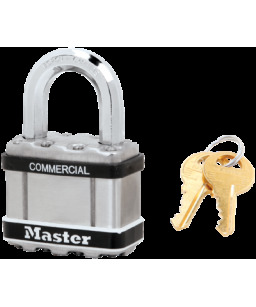 The Master Lock Commercial Excell® No. 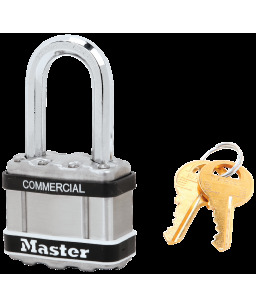 M5LFSTS Laminated Steel Padlock with Stainless Steel Body Cover features a 51mm wide laminated steel body encased in a stainless steel body cover for maximum strength and weatherability. 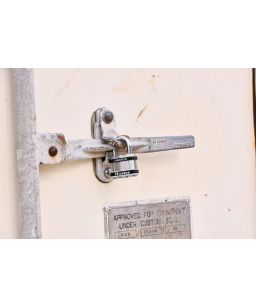 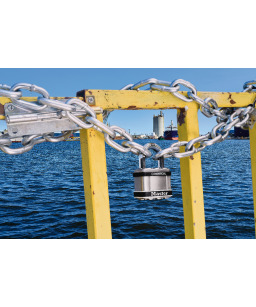 The 10mm diameter octagonal shackle is 38mm long and made of chrome-plated boron carbide, 50% harder than hardened steel, offering maximum resistance to cutting and sawing. 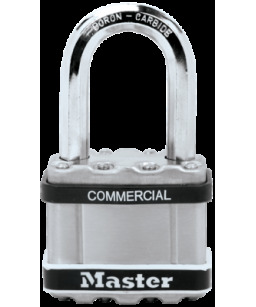 The 4-pin cylinder prevents picking and the dual locking ball bearings provide maximum resistance against prying and hammering. 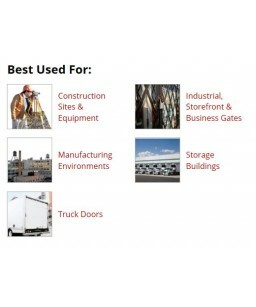 Commercial Excell® offers a higher level of weatherability and security for applications in outdoor, corrosive and caustic environments.